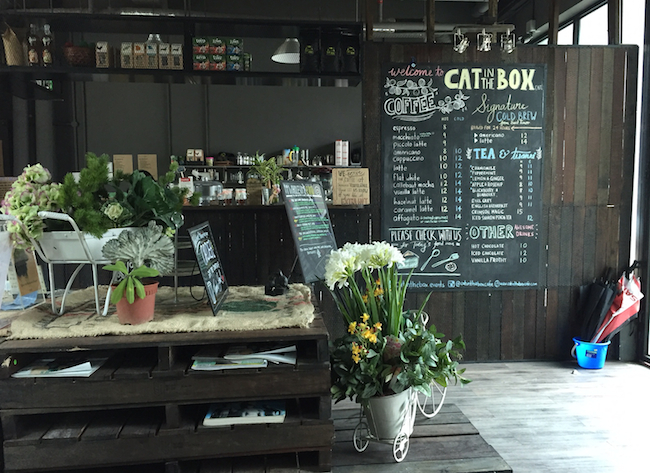 Cat in the Box cafe in Empire Damansara. Another week, another café opening. But the problem with the latest place which everyone is talking about is that everyone is also trying to go there. At Poskod.MY, we’ve found eight hidden cafés which are off the beaten track. See if you can find them all. Formerly at The Centre for Asian Photographers in Jaya One, Cat in The Box now has a new home at Empire Damansara. While the ground floor units of Empire are bustling, the upper floor is still mostly vacant, making Cat In The Box a quiet gem (at least for now). The coffee here is brewed with single origin beans from East Timor and there’s a small but appetising menu of food like chicken pie and lasagne. The best part? There’s a rooftop terrace that looks over the forests of Damansara Perdana. 111 Empire Damansara (first floor), Jalan PJU 8/8A, Damansara Perdana, 47820 PJ. Open 11am – 10pm Sun – Thurs, 11am – 1pm Fri-Sat. Away from the congested streets of Bangsar Telawi, Pulp beckons. Brought to you by the same people behind Singaporean popular spots Papa Palheta and Chye Seng Huat Hardware, Pulp café also functions as a coffee showroom and shop for connoisseurs. Serving up lovingly blended coffee and dainty bites like pumpkin kuih and scones, it’s certainly a contrast to its surroundings: a printing factory and warehouse. 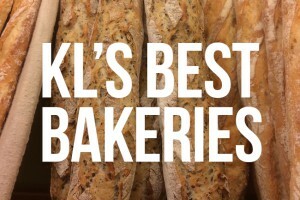 29-01, Jalan Riong, Bangsar, 59100 KL. Open daily from 9am-7pm. 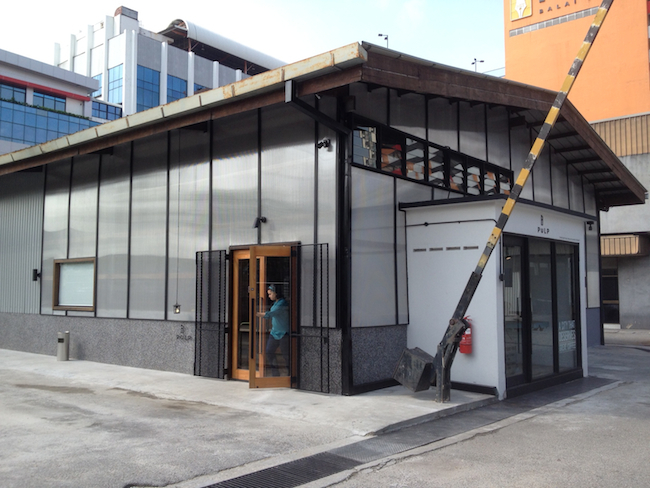 Pulp café is located in the Art Printing Works warehouse and factory complex. 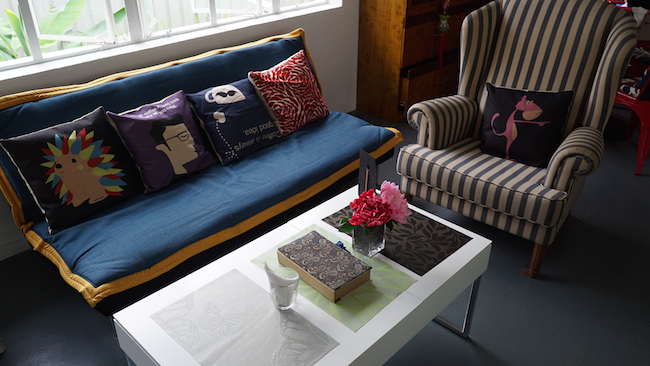 Not far from Pulp, find another hidden café in a quiet spot: behind the hijab and jubbah boutique Modvier. 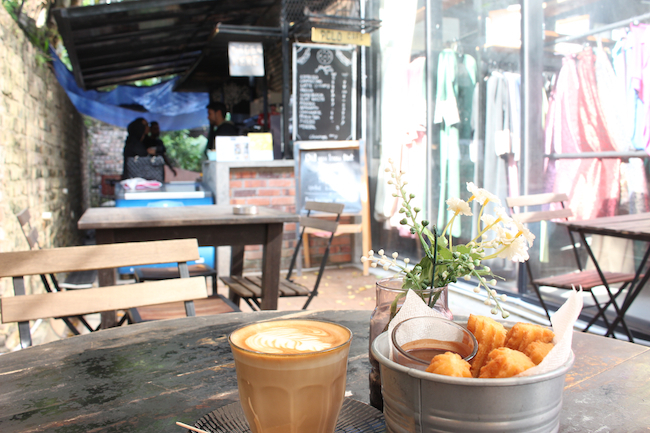 Perfect for quiet, al-fresco evenings to enjoy a cup of piccolo (the latte where the cafe got its name) with a side of churros. Take the right turn after the Petronas station on Jalan Maarof and the painted words PCLO can be spotted across a brick wall upon entering the premise. Bangi folks can find its only other outlet at Bikers Rendezvous. Modvier Boutique, 6, Jalan Riong, Bangsar, KL 59100. Opens Wed – Sun, 12-9pm. During the day, you wouldn’t guess for a second that a restaurant would sit behind the doors of the bungalow in which RGB is located. From the same team that brought us RAW, formerly on Jalan Ampang, RGB & The Bean Hive serves up healthy vegetarian and vegan meals, desserts and freshly pressed juices in a secluded, homey setting. 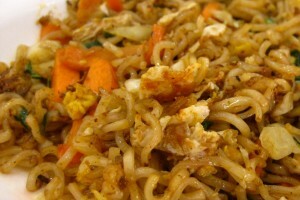 Try the egglant pesto pasta or tofu fried rice. RGB & The Bean Hive, 35, Jalan Damai off Jalan Ampang, 55000 KL. Open daily from 10am-6:30pm. RGB and The Beehive. Photo: Youthika Peris. Inside the old Lee Rubber building (also home to Popular bookstore) on Jalan Tun HS Lee, there’s a lift that takes you up to a shop: Peter Hoe Beyond. You’ll exit into a vast shop, which sells carefully selected crafts and fabrics from Asia. In a corner, there is a small café which serves up quiches, salads and sandwiches, as well as fresh lemonade. Even if you’re not shopping for souvenirs, it’s a great spot to escape the Chinatown crush. 145 Jalan Tun H.S. Lee, 50050 KL. Open daily from 10am – 7pm; café serves food from 12.30pm -4pm. 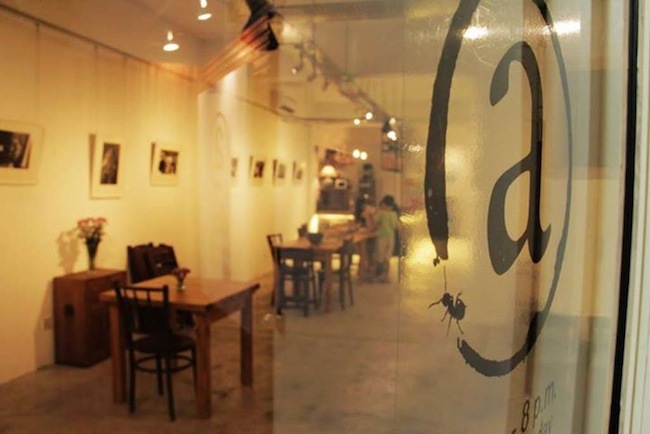 Aku Café & Gallery is a soothing café with contemporary Chinatown charm and beautiful wooden furniture. Follow the trail of painted ants to the first floor. You’ll find artwork as well as handcrafts for sale. The menu stretches to cakes and sandwiches, but really it’s the peace and quiet that is the main appeal. You can practically hear the patrons’ intellectual thoughts hum. First floor, No.8, Jalan Panggong, 50000 KL. Open Tues – Sun (11am-8pm). Follow the trail of painted ants. Photo courtesy of Aku Café & Gallery. A place where you can get your car polished while you eat? Regal Valley Auto Specialist Centre is the unlikely location of Monkey Garage. Previously a cafe, Monkey Garage has now become a gastropub that specialises in sinful porky delights such as salted egg and pork burger and honey roasted char siew. There’s also an evening wine buffet from 5.30pm, priced at RM60. 61 Jalan Maarof, Bangsar, 59000 KL. Opens Weds – Mon, 11.30am – 3am, closed Tues.
From outside, Dr.inc looks like a boutique shop, but venture inside and you’ll find a café that stretches to the back of the shoplot. As a collaboration between café founder Jeremy Chin, Nala Design and Studio Bikin, the shop part of DR.inc stocks stationary, gifts and accessories by local design companies. 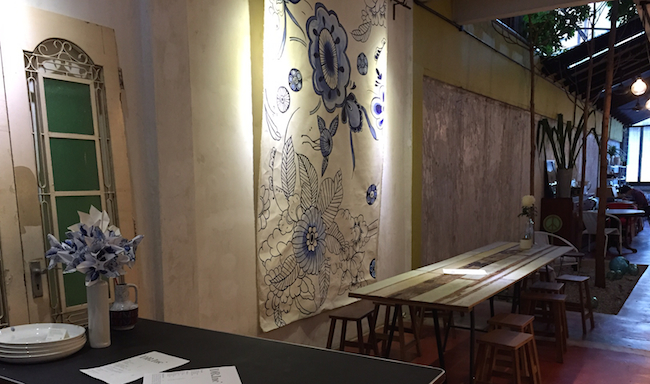 Likewise, the café feels lovingly designed, adorned with patterns, prints and plants that make for a relaxed hide-out. 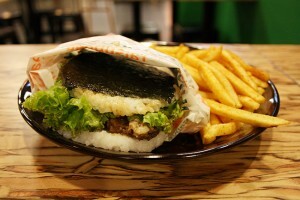 DR.inc, 8 Jalan Kemuja, Bangsar, KL 59000. Open daily, 9am – 7pm. First published April 2014, updated January 2015. Words and photos by Amanda Ong, Ling Low, Kathryn Rao, Sian Marie Low and Youthika Peris. 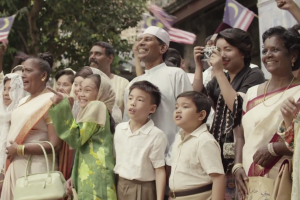 Does KL have room for a Kampung?